It is never too late for God to change your story! Ed, Thank you for following Gods plan for your life to touch mine. I am the father to three wonderful kids now and we are adopting a sibling group of three kids from Colombia soon. I want to thank you for the weekend conference at Kansas City and making a tough old running back cry like a baby! I am reading your material and plan to improve my fathering abilities through your help. God bless you and thanks again. "Ed came to our church in Torrance and we were so encouraged and educated. He was gentle, vulnerable, and powerful. The workbooks are now being used at our church, and our people jumped on it. Ed’s message speaks to all people in all stages of life, but I do love how he connects with men in such a relevant way." Ed, thank you for the powerful message! The weight you lifted last night is far, far greater than any NFL record could come near! Seeing a room filled with men with arm’s outstretched to receive the will of God being called to be leaders, starting in their own homes was great! Micah 6:8 coming to life! I just wanted to take time to thank you for the message you delivered at the retreat last weekend. I coach football at Bishop Union High School and have been involved with Young Life and recently returned from Woodleaf Camp where my eyes were opened to the brokenness in our boys-- especially the scares left by the boy’s fathers. The Lord put me at that retreat and you spoke right to my heart. I pray daily to be put in contact with "orphans" and look forward to working in the mission field to rid the world of orphans. Thanks again. For forty years I have waited to hear a blessing from my Father (but he passed away 10 years ago. I just want to thank you for your obedience to the Lord and your ministry, which is so precious and necessary for these days. I love the fathers blessing in my life. Ed came to Vineyard Church in Kansas City for Father’s Day and he was amazing. I never felt so loved and saved by another preacher. Hope he comes back soon. I want to personally thank you for making a HUGE impact in my life this past weekend. I have struggled all of my life with relationships. Your message just affirmed that I need to love myself more and stop choosing men that at first seem to have my best interest at heart, but in the end, it is all about them. I have struggled with choices in my life and I am so glad that we serve a forgiving God, because I have had to be forgiven, quite a bit. I bought all of your Cd’s and I am looking forward to listening to them, over and over again. Words cannot express the gratitude I feel in my heart for the message you brought tonight. I know like many others I could have been all alone in the room with just you and it all would still have been relevant. Losing my father at 8 and having my mother marry her career left a huge whole in my heart and my life. At every moment in my life where something big happened good or bad, I found myself asking "what would you say, dad?” or “what would think of me now, dad?" Never knowing or even feeling a connection. Over the years I found God and even there I could not "connect" wholly with Him because of that void. After last weekend, I find myself feeling like someone took the blinders off and I see a whole different God--one that loves me for who I am-completely. I feel the warmth of His smile on my face for the first time and I know I don't have to perform to get it. Without sounding overly corny-I love you man for bringing me the message you did and I am grateful that God brought forth in you all that He desired to reach those you come into contact with--you reached me and it changed me forever. My name is Ronda and I just prayed the prayer that you wrote on page 172 I am so thankful for your book! I thank you for being a servant and a steward of God! I was raised in a home where my mom died of cancer at a very young age and my dad was a nonexistent father. I did not realize how I felt about my heavenly father being a nonexistent father. I have seen through the pages of your book how I have named myself. And after this prayer that I just prayed those names are no longer! I thank you again for writing this book! It has meant a great deal to me to read your words. To see your experiences that you've gone through. I am a wife and a mother and I know my family will be blessed thru the work that I'm doing through these pages. A little information on how I found your book, I'm in counseling due to some recent trauma that has happened this last year in my life and my counselor wanted me to find a book, She told me that she could recommend some books. But she wanted me to try something, I went to the bookstore life way is in our town. I walk through the aisles and read the different titles, she wanted me to pray over them and ask God to lead me to what he wanted me to read. I first was led to a book on codependency, Then I asked God am I done? He said no, so as I was looking I saw your book and I felt there were breaks that came on in my mind. I pulled your book off the shelf and read the back cover and then the introduction, I knew right then this is the book needed to read. It took me two weeks to crack open the first chapter, I have a lot of painful issues with my father. But like I said before now that I've almost completed the book and prayed this prayer on page 172 I feel reborn! I cannot say thank you enough for writing this! Because the message I heard from you, Ed, at a pastor’s retreat, my wife and I gave a ring to each of our children during the Christmas holidays and we blessed them prophetically as parents with God's vision and destiny for their lives, released them as adults and gave them the blessing of a father and a mother. Also for 55 years I had not been able to speak to my earthly father face-to-face. Yesterday, my dad and I went out to lunch. I am 55 and he is 83. I thanked him for all that he had done for me growing up and asked him to forgive me for the things which I did wrong growing up. The greatest Christmas gift has come to me this year. The total restoration and reconciliation with my four children and with my father. All glory to God and to your ministry. Anyone who is feeling broken inside needs God. God spoke through Ed to me. Ed's word about the father is an amazing word. Thank You, Ed, for touching my heart. God Bless You and Your Family. The first time I was blessed by the ministry of Ed Tandy McGlasson was about 20 years ago at a Vineyard men’s conference in the mountains of central California. The conference was a new experience for the 60+ men in attendance and final night of the conference was extraordinary. Not only did we receive a call as men but God also humbled us. There wasn’t a dry eye in the room. I will never forget that night. I know it changed my life. I am a father of two daughters and one son, ages 9, 5 and 10 months respectively. I struggle every day to be the man that God wants me to be and the father I know my children need. My grandmother gave me your book as a gift and I couldn’t believe the tears that began to well up inside me after I began to read the first few pages. I guess the whole reason I’m writing this is to say “thank you” for writing a book that keeps me motivated and helps me better understand my role. Thanks so much for spending time with the Grace Chapel family this weekend! Getting to meet and hang with you Friday and Saturday was indeed a blessing in my life. While my son was not with me this weekend, I still gained so much knowledge and tools to better our relationship. My view of my own father has improved considerably. I grew up without my dad around and now my kids are growing up without their dads. I am going to show them how much God and I both love them and break this cycle of looking for love outside of God! Truly, an amazing message! 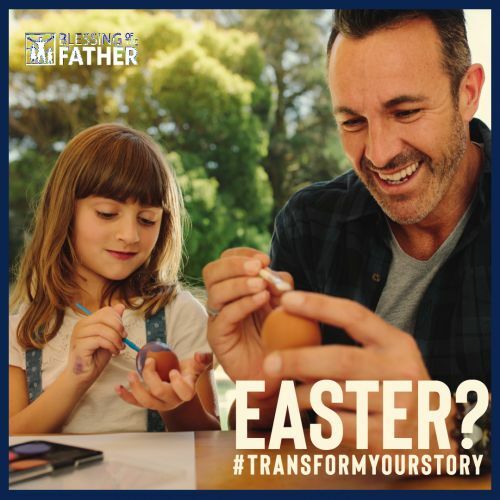 Ed Tandy McGlasson gives a great message on being a father in his book The Difference A Father Makes, which God placed in my hands a few years back – it challenged me to be the father that Jesus has called me to be. Pastor Ed, thank you for the word you bought to us in South Africa. It blessed me and opened my eyes to the only truth that sets us free. This weekend was awesome to my mind. I have always known the Father loves me but after experiencing the wall of honor. The next morning I woke up in bed and heard God said to me that, “I am a Good Daddy.” I wept like a baby because as a single Dad it is hard for me to hear that he loved me. Thank you! This was one of the most awesome experiences that I have ever endured. I can’t thank you enough for what you have done for me and my family—God bless you Ed and your ministry. Keep it up! Ed is Awesome; I am a 26-year-old father of 3 small children. I am excited to put into practice the book and the teaching that Ed shared with us. I love the way his humor, reality and his personal relationship with God. Ed – Thank you for letting me watch the Lord work in my husband. You made me realize now fortunate I am to have him as the father of my children. You also gave me an appreciation for my father on earth too! God bless you! You have touched my life so much. I have a father that has never said that he loves me. But I know in my heart that he does. After listening to your sermon, I accepted Christ as my Savior. Ed this message really changed my life. I had a father, but he never showed me love and told me so. I now know that even though he didn’t give me his blessing, I have a Father in Heaven who loves me and is for me. Dear Ed, We just received your books today. I read it, I laughed, cried and was filled with joy all at the same time. Thank you for being a friend to me in all the hard times, most of all I want to Thank-You for being a friend to Brian, you have impacted his life in ways you will never know. I just want to say Thank-You, for that!!! My father never called me out, but through your book, my Heavenly Father has called me out, (He calls me Beloved One). That is Awesome! I will pass your book along to many people; they need to hear what you have to say. I Thank-God for using you in the way he has. Love you Ed... Your Strong-Willed Friend. 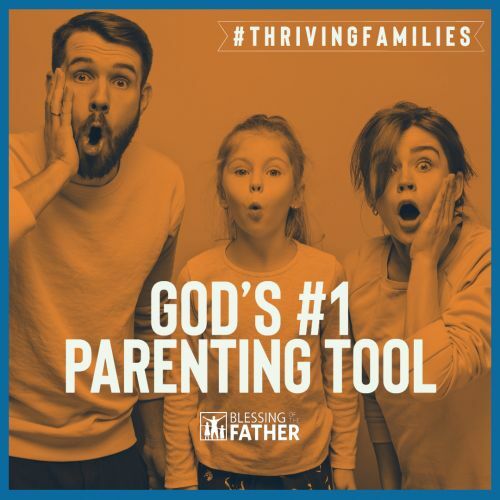 You may not remember us from when you were at Vineyard KC North last year, but my wife and I attended your Fri & Sat sessions on healthy families, which really impacted both of our hearts. Afterward, we had shared with you of some past wounds in our 20-year marriage and you clearly recognized that we just needed to heal. I kept your advice to only say what we appreciated about one another, and although it wasn't always easy, with God's love & grace we have been able to forgive and are on our way to being able to work together and begin to minister to help others find freedom from their hurts as well. And this past Christmas I gave my hardened, retired-military father your book and DVD, which has caused him to ask for my forgiveness...he's trying in his own way and has blessed me many times since. Thank you so much for your ministry to us in the same loving-kindness of our wonderful Father! I just wanted to send you a quick message and thank you for your obedience to what the Lord told you. Your book for starters, I have passed it on to other fathers and they have passed it on to others. The love I have for my children is stronger than ever. Secondly, you came to our Men's Advance years ago and spoke into my life, and am now reaping the harvest of what you planted!! Thank you so much for what you do for Men!! We need to hear the truth!! Please continue to do what God has called you to do!! Thank you for all you do!!!!! Finally obeyed the Spirit and blessed Dad in front of our Men's Prayer Group this last Thursday. What an awesome experience to be a part of. No doubt Spirit-led and the Almighty's love was overwhelming. afterward, every man there shared about their father without prompting. Dad was extremely humbled, I was bawling (which isn't out of the ordinary anymore which is fine because I know the Lord is with me very close.) Thank you for your words of encouragement. I believe that even though I am not an ordained whatever, our Father is inviting me to live up to my name (Bold Counselor) and just love the heck out of widows, orphans, fathers, mothers, tax collectors, pastors... I can send you what I shared at the prayer breakfast if you like. I am understanding more and more that because Christ is in me, I have the spiritual authority/credentials whatever you want to call it - to act in love when he asks. Not doubting myself and therefore Him as much anymore. Answering my prayers for increased faith. Just awesome. Just awesome. Hi Ed...I don't know if you will remember me but I"m hoping that you will. My name is John Denton. When we met at Vons in Orange on April 30, 1989, I was selling memberships at Family Fitness Center. At that time I was also a member of the US Figure Skating Team as a pairs skater. I came to your home and you gave me your testimony, purchased a membership for your wife at the club, and we prayed together during which time I, for the first time, made my attempt at asking the Lord into my heart and to reveal himself to me. We set up a meeting at a restaurant later that week to follow up which I arrived at 20-30 min late and you had already left or did not make it to. 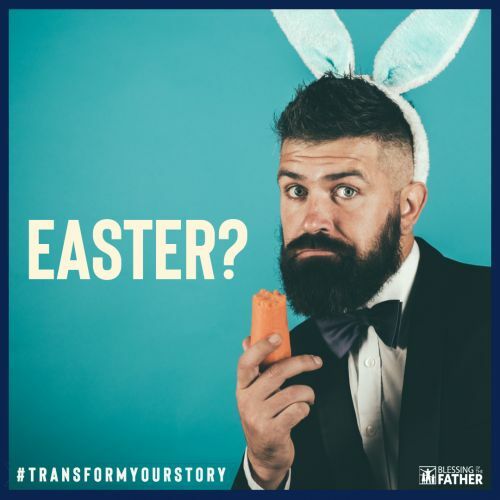 I am writing to you today at the urging of my 11-year-old son who asked me "Dad, how did you become a Christian?" After telling him my testimony and the role you played in it, he suggested I go on FB to see if I could find you. So here I am. I just wanted you to know that the Lord used that small moment in time to indeed change my life and soon after our meeting I became "born again". I am currently living in Las Vegas NV, working as an RN at both Centennial and Health South hospitals.